Over the last 122 years, OshKosh B’gosh has worked diligently to earn the trust of generations of families – a trust we work hard to maintain. As part of that trust and overall commitment to safety, we wanted to make you aware of a potential safety issue with our OshKosh Baby B’gosh quilted jackets. 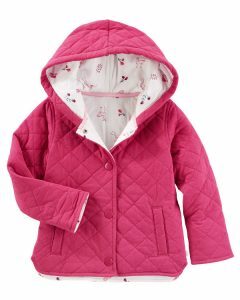 Working in cooperation with the U.S. Consumer Product Safety Commission (CPSC), OshKosh is conducting a voluntary recall of these jackets, in colors pink and gray, sold between August 20, 2017 and September 15, 2017. The products pose a potential safety risk, as the snaps can pull off the product resulting in choking hazard. 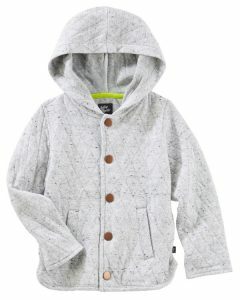 We are encouraging consumers who purchased these jackets to immediately stop using them and return them to one of our stores (OshKosh or Carter’s) to receive a full refund of the MSRP price in the form of a gift card. 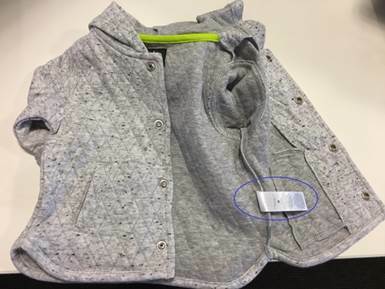 Consumers may also receive a shipping label to return the jacket by mail here. For more information, please call OshKosh’s customer service line toll-free at 1-800-692-4674 from 9:00 a.m. to 5:30 p.m. ET Monday – Friday. 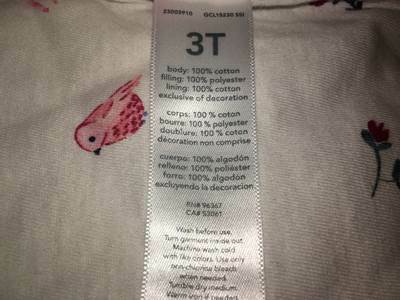 Please see the list of style numbers and UPC codes below as well as photos to help locate them on your jacket.